In his first nine months, President Obama has had his successes and his setbacks, but I think what will be most historically significant about this time is his continued blundering into Afghanistan. In his campaign for the presidency, Obama said he was not against war, just against dumb wars. Yet he is waging and expanding the dumbest kind of war. There is a larger fallacy at work—that the only way to fight terrorists is to attack countries that do or might give them a base. Obama’s thinking on Afghanistan began from a sound premise. He said that President Bush was right to be pursuing al Qaeda in Afghanistan, where it was, and wrong to switch resources to Iraq, where it wasn’t, at a time when capturing or killing Osama bin Laden was still feasible in Afghanistan. But saying the withdrawal of troops was a mistake does not mean that sending more troops in, with a different mission in a different time, is a good idea. Unfortunately, Obama seems to work from his campaign rhetoric into a frame of thought that makes Afghanistan a good idea because Iraq was a bad idea. We are now trying to prop up a corrupt government in a country with a drug economy that breeds faction, crime, and resentment at our interference. • More Daily Beast contributors on Obama’s election anniversaryThere is a larger fallacy at work—that the only way to fight terrorists is to attack countries that do or might give them a base. Modern terrorists do not need to have a country for a base. The bombers in Spain and England did not need to have a Middle Eastern base for their action. Modern terrorists are mobile and can spring up anywhere. They must be sought with cooperative police work around the world, not by armies taking over foreign nations. Terrorism is a crime, not a country. It breaks my heart to see Obama creating his very own Vietnam. 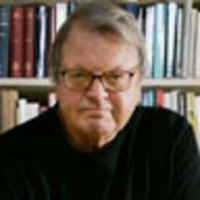 Garry Wills is professor of history emeritus at Northwestern University. His books include Inventing America: Jefferson’s Declaration of Independence and the Pulitzer Prize-winning Lincoln at Gettysburg: The Words That Remade America. His book Nixon Agonistes earned him a coveted place on Nixon’s list of political opponents.